During a quiet shift at the Krusty Krab, SpongeBob serves a perfect Krabby Patty to super-famous action movie star Randy Albacore--but no one will believe SpongeBob's tale of his brush with fame! 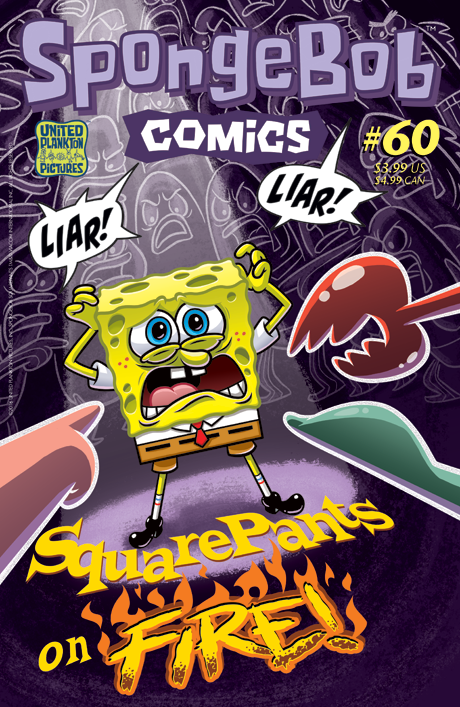 Branded a liar, is there anything SpongeBob can do to rescue his reputation…and to keep his square pants from catching fire? Then Sandy has to prepare her dome for the imminent arrival of her fussy Aunt Hazel from Texas…but a broken diving suit, an angry mob, along with the "helpful" SpongeBob and Patrick, mean that Sandy will have to do some quick inventing to save the day! Also: bank robbery in Bikini Bottom, a substitute Boating School teacher, and the legend of giant fry cook Paul Spatula!